First sentence: Wind howled through the night, carrying a scent that would change the world. Challenge book? I read this for the Unread Authors Challenge. Short summary: Farm boy finds strange stone under strange circumstances. Stone is actually a dragon's egg, it hatches, and a dragon is born. Boy and dragon set out on an adventure to help save their world from evil. What did I think: This one was just okay. Not bad, not great. This may sound weird, but I felt as if Eragon read like a King's Quest video game; all the plot points felt too pre-determined, as if he was going on a series of tasks to get to the next level and eventually "win". The plot was incredibly predictable, which is disappointing in any genre, but especially fantasy. The characters felt somewhat flat, especially Eragon. The writing, well, it was obvious that it was written by a teenager who may lack some life experiences, and the book screamed for better editing. 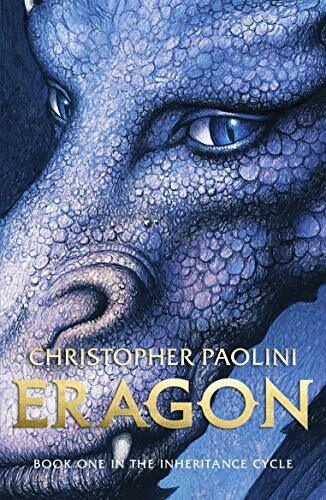 I can see why how Eragon could be popular with kids, but as an adult, I will not be picking up the second book in the trilogy, as I had originally planned.